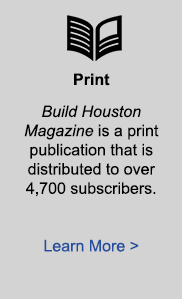 To succeed and grow in today’s challenging market, you need a magazine that offers more than a printed page of advertising. 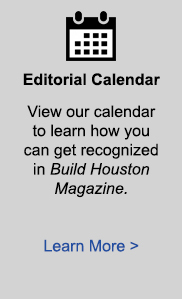 Since 2001, Associated Builders and Contractors of Greater Houston‘s in-house publication, Build Houston Magazine delivers valuable information to improve the day-to-day operations of the industry’s most active businesses. 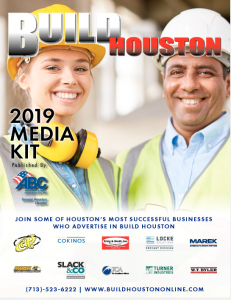 Each issue offers a variety of advertising options for you to deliver your message to commercial and industrial construction professionals, from Owners, Developers, Architects and Engineers to General Contractors, Specialty Contractors, and Suppliers. 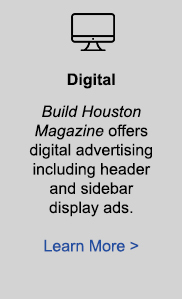 If you’re looking to get more for your advertising investment, choose Build Houston Magazine, and increase your visibility to grow your business.